T.F. : In recent interviews given by Kim Jong Nam and published by journalist Yoji Gomi, the late Dear Leader’s eldest son has dismissed Kim Jong Un as not a credible succesor to KIm Jong-Il. Do you think he is trying to set himself up as a future Opposition figure or perhaps, a ‘safe pair of hands’ that China might want in Pyongyang in the future, acting as a would-be North Korean Deng Xiaoping? L.P.: I think that KJN is opposing the hereditary succession system of power in general, and in this context he does not see his younger half brother is a potent candidate for leadership in North Korea. Surely, KJN has had much more exposure to the realities of contemporary world and has more experience in international trade than KJU, but this is not enough to rule the country. I don’t think that KJN is the future Deng Xiaoping on North Korea. Even if China wants him to play this role he cannot lead a China-type of reform in North Korea because such reform is impossible (see below why). T.F. : Does Kim Jong Nam have a powerbase of any kind and might China see him a bridge to his uncle, Jang Song-Taek, if he is now the real power in Pyongyang? L.P.: KJN is a businessman who is well connected in North Korea, China, Japan and other countries of the region. His uncle Jang Song-Taek is a purely political figure, very conservative and ostensibly anti-market. In this, JST ensures KJU’s accession and stability in North Korea. Any reform in NK will destabilise the situation. I doubt that KJN and JST have anything in common except for family links. T.F. : Do you think Kim Jong Nam’s critique is valid? Namely, that Kim Jong Un is too young to anything more than a figurehead? Would such actions as the Cheonan/island artillery attacks during 2010 have been enough for Kim Jong Un to have gained the respect and backing of the KPA leadership? L.P: KJN and KJU are half-brothers in the ruling dynasty, thus the venomous rivalry between them is pretty natural. KJU won’t waste bullets to hunt KJN down but simply ban him from returning the country, which is perfectly OK for both of them. To gain respect and backing of the Korean Peoples’ Army (KPA), KJU needs to pay the elite and feed the 1.1 million of conscripts. Cheonan Corvet and Yeonpyongdo incidents are used in North Korean domestic policies as much as in South Korean and US regional policies. The war in Korea is continuing and KJU has been already elevated to the role of Supreme Leader, so there will be no discussion among the KPA about possible alternatives. T.F. : Do you think there are any prospects for an organised and effective opposition from NK defectors and refugees now living in the ROK and the West? L.P.: No, the ROK government claims the sole legitimacy for power in Korea and will not permit any effective political opposition, which might proclaim an alternative DPRK government in exile. Neither will US government support such movement. T.F. : Given that 2012 marks both the 100th anniversary of Kim il-Sung’s birth and an election year in the United States, would you predict more offensive military actions e.g. another underground nuclear test or attacks along the DMZ and maritime border? L.P.: For North Korea the beginning of 2012 has been overshadowed by the mourning over late KJI and consolidation of power by KJU. I don’t think that North Korean elites are willing to risk provoking a full-fledged war or a forced invasion and a regime change in the midst of 100th anniversary celebrations. Also, a provocation from the North Korean side will only help the outgoing conservative forces in South Korea to win presidential elections. In other words, I think that North Korea will stay calm, sombre, and cautious. T.F. : Ten years after the ‘Ardous March’ (famine) there have been tens of thousands of North Koreans who crossed back and forth across the Yalu and Tumen rivers. Presumably the level of information control is not what it once was. Coupled with the won devaluation fiasco, do you think there is potential for an uprising of some kind? L.P.: It has been 13 years since the Arduous March (1995-1998) ended. Common people in North Korea live a much better life, while the elites have many more freedoms and opportunities. Currently, no popular uprising is possible as long as the people’s level of life continues to rise and the elites feel safe and economically confident. KJU is the best person to give them that sense of safety and open the new opportunities. T.F. : If the DPRK implodes or faces a serious breakdown of government control, this will mean massive refugee infux into China. Do you think the PLA would not stop at sealing the boder but might actually intervene with the DPRK and would they risk confronting the ROK and West? L.P: If the DPRK implodes the ROK army will enter northern Korea to stabilise the situation and prevent the uncontrolled border crossings. China will not get involved in Korea’s domestic crisis as long as other foreign troops stay away from this crisis. T.F. : According to Kim Jong Nam, economic liberalisation will translate into a breakdown of the political order. Do you think the DPRK might opt to butress its position by setting up more exclusive economic zones e.g. Raijin-Songbong, Kumgangsan or Kaesong that bring in revenue but keep out the general population? L.P.: I agree with KJN. More SEZ (with or without South Korean participation) will work best for NK, generating income for the regime without compromising its political system. Reforms in economy will inevitably affect politics. The DPRK leadership want to modernise the country’s economy without much change in social and political areas. Thus, the DPRK is not attempting to fix its outdated and dysfunctional economic system. Economic changes in North Korea usually come from below, and only later (post-factum) are accepted by the top of the pyramid. The current leadership does not have a visionary master plan for development. They only react to the slow motions timidly initiated from below and, therefore, nothing is really changing in North Korea. People eat better and use mobile phones but continue fearing the same things they learned during the Cold War. Radical change in the DPRK is substituted for a slow-motion make-up measures. North Korea: Kim Jong-un as Leader – How Pyonyang may change? Opinions differ as to what will be the eventual outcome of the death of North Korea’s Kim Jong-il and the official transfer of power to his third son, Kim Jong-un. In an essay in the Sydney Morning Herald, AIIA member Hamish McDonald explores a range of possibilities. Apart from the possibility of change within the Pyongyang regime itself, there are the complex attitudes and strategic interests of the various powers involved in on-off talks to bring peace to the Korean peninsula and persuade North Korea to give up its nuclear weapons program. China fears a surge of refugees across its border if hostilities break out and worries that the United States could gain a foothold on its border. Japan is uneasy about the industrial muscle of a united Korea while other countries see investment and market opportunities. No one, however, wants to see a destabilisation of the peninsula – how the DPRK manages itself under its new leadership and how the regional powers engage the regime is crucial to this end. Few expect any change to happen quickly. The Australian Institute of International Affairs (AIIA) in Sydney has assembled a panel of experts to discuss one of the top agenda items of 2012. Joining us will be Dr. Leonid Petrov, lecturer in Korean studies at the University of Sydney and Korean scholar who trained at the Institute of Oriental Studies in St Petersburg. Prof. Petrov has also held the chair in Korean studies at the Institut d’Etudes Politiques de Paris. Mack Williams was Australia’s ambassador in Seoul at the time of the last North Korean handover. 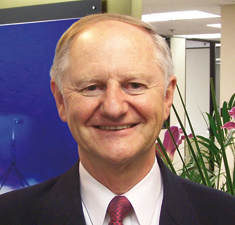 Mr Williams is a former president of the AIIA in Sydney and chairman of the board of the UTS Insearch program. He also chairs the Korea-Australasian research Centre at the University of New South Wales. Professor Peter Hayes from the Nautilus Institute will join us by video link from San Francisco. Prof. Hayes’ paper on North Korea has attracted international attention. Rev. Kang Young-Sup, the Chairperson of the Central Committee, the Korean Christian Federation in North Korea, passed away on the 21st of January 2012 at the age of 80. 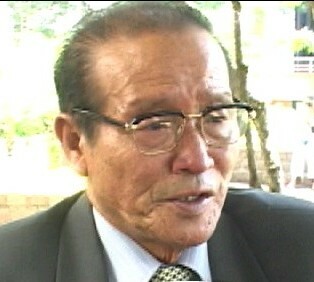 Kang, a family member of late Kim Jong Il, was the son of Kang Ryang Wook, the sixth cousin of Kang Dong Wook, Kim Il Sung’s maternal grandfather. The National Council of Churches in Korea sent its letter of condolence to the Korean Christian Federation. The following is the Letter of Condolence written by Rev. Kim Young-Ju, General Secretary of the NCCK dated January 23rd, 2012. We pray that God’s consolation be with his bereaved family and member of the Korean Christian Federation who are in the midst of grieving and suffering. Rev. Kang Young-Sup attended the International Consultation on Peace, Reconciliation and Reunification of the Korean Peninsula: Towards an Ecumenical Vision beyond the Tozanso Process in Tsuen Wan, Hong Kong, 21-23 October 2009. (by Tim Hume, The Independent, 21 January 2012) Alejandro Cao de Benos – or ‘Zo’, as his comrades call him – is a devoted follower of the late Kim Jong-il and vigorously defends the North Korean government he represents. As North Korea convulsed in grief last month with the passing of its Dear Leader, the rest of the world tittered nervously. For Zo Sun-il, a North Korean government spokesman in Europe, this made the bereavement doubly hard to take. While he mourned in isolation, his phone rang hot with calls from international media, who marked Kim Jong-il’s demise by gleefully rehashing the more remarkable claims put forward about him in state propaganda: that he was an influential trendsetter in world fashion; that the one time he picked up a golf club, he made 11 holes-in-one. That he didn’t need to defecate. For comfort, Zo drew on memories of the man North Koreans viewed as a father, and who, unlike the vast majority of his countrymen, he had met personally. He recalled the horn-handled hunting knife he had presented Kim, and the tea set he had received in return. The way that Kim seemed to single him out for personal salutes at military parades. “His eyes looking at me, his face smiling at me. I keep this very dear to me,” he said. Zo, whose name means ‘Korea is one’, had to take the Dear Leader’s word for that, because he doesn’t actually speak Korean. 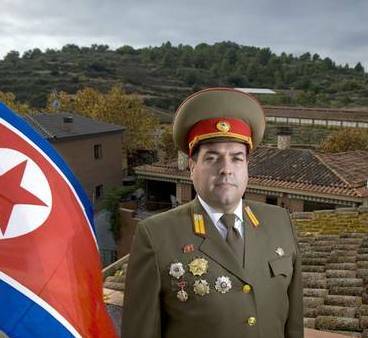 His friends’ scepticism seems well-founded given that he is a Spaniard of aristocratic Catalan heritage, better known as Alejandro Cao de Benos, and that North Korea is possibly the world’s most paranoid and isolated nation, a nuclear-armed rogue state all but closed to outsiders. 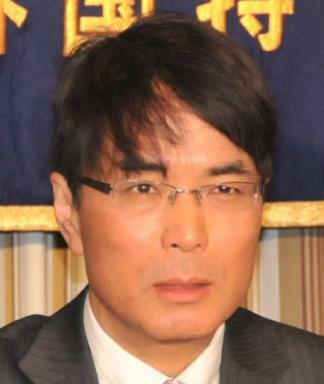 Yet despite this, Cao de Benos – or Zo – has managed to achieve the unique distinction of being granted honorary North Korean citizenship and an official role as “honorary special delegate” to its Committee for Cultural Relations with Foreign Countries. He spends about half of every year in Pyongyang, where he has close ties with the upper echelons of the regime. There, he hosts foreign delegations and acts as an intermediary for external parties wanting to invest, make documentaries or simply visit the country. (He maintains he has “never received a single cent” from North Korea, although admits to clipping the ticket on deals he helps see to fruition.) The other half of the year he acts as a roving ambassador, making media appearances with each new flashpoint arising from North Korea’s nuclear brinkmanship, his talking points drawn from the state ideology of juche, or self-reliance. A rotund 37-year-old with a brusque bearing (as a young man, he spent a year in the Spanish army), Cao de Benos speaks forcefully and formally, favouring archaic terms of statecraft like “plenipotentiary”. For public appearances, he wears a North Korean military uniform heavy with state medals, or black suits cut in the distinctive, high-buttoned style of his adopted homeland, from which his scrubbed, clean-shaven face emerges like a pink balloon. It took a decade of wooing of North Korean officials before Cao de Benos, who has a background in IT, sought and received permission to set up the country’s first website, in 2000. “Imagine you’re bringing flowers every day to a girl and she’s always rejecting you,” he recalls. The webpage he built established the first fixed, broadly accessible conduit for communication between North Korea and the world beyond its borders. “Imagine the power in my hands!” the webmaster marvels. Although he had envisaged attracting “high profile people” – diplomats, entrepreneurs, journalists – Cao de Benos says the site was soon being used by “the most normal people in the world”, wanting to contact the DPRK (The Democratic People’s Republic of Korea). From their ranks, Cao de Benos founded the Korean Friendship Association, a club for people wishing to express solidarity with a totalitarian regime whose deadly famines, spontaneous acts of aggression and nuclear weapons programme has it viewed even by its closest remaining patron, China, as a dangerous liability. On a Saturday afternoon last November, about 20 people assembled before the North Korean flag in a community centre in Camden, north London, for a meeting of the Korean Friendship Association. Turnout was smaller than expected, given that Cao de Benos claims his organisation has 15,000 members, but the founder was unbowed. Flanked by a display of ideologically sound texts (sample title: “Kim Il-sung: The Great Man of the Century”), he seemed to be channelling his mentor as he delivered a stream of bellicose, anti-American invective. Though many in the audience wore militaristic attire, the impression was more that of a Boy Scout jamboree. At such meetings, KFA members are awarded badges and posters, and jostle to outdo each other with their trainspotters’ grasp of the minutiae of North Korean life. North Korea is seen as the ultimate outlier, boldly defying not just global corporate capitalism, but modernity itself. Their fantasy worker’s paradise hews to simpler, nobler values than exist in the benighted West. “They’re not having an easy time of it, the Koreans, but what drives them? What keeps them going? How can they have such grit, whereas in the West they fold over any given problem?” asks George Hadjipateras, a 36-year-old London office clerk and ideological true believer whose affection for North Korea as Communism’s last great hope extends to collecting the republic’s music, and picketing the US embassy once a year. He doesn’t believe the “lies” he reads about Kim Jong-il in the Western media, but has never visited the DPRK because he doesn’t like to travel. “Sarcasm doesn’t exist in DPRK,” Cao de Benos notes at one point, giving a list of things that do: “Honour, respect, order, discipline”. Cao de Benos was a serious-minded teenager seeking a solution to the world’s problems, when he first found himself drawn to North Korea in 1990. “I didn’t want to dedicate my life to be a slave in the capitalist system. My dream was to be a part of the revolution,” he recalls. Not everyone agrees. Deploying a term historically used for Western sympathisers of the Soviet Union, a former participant on one of Cao de Benos’s tours to North Korea describes him as a “perfect example of the ‘useful idiot'”. The one-time traveller – who does not want to be identified for fear of jeopardising future trips – had taken the tour out of a sense of goodwill and curiosity, “to see if North Korea could really be as bad as everyone said it was. It was”. The group witnessed events and settings that were clearly laid on for their benefit, and increasingly felt their presence was being mined for propaganda. Closely monitored, the visitors had no opportunity to discuss their concerns. Even after the tour’s conclusion, back in the safety of Beijing, they remained too shocked to dissect their surreal ordeal. The fakery was so obvious that the trip might have seemed farcical, were it not for the ominous sense that there could be terrible consequences if events deviated from the approved pathway – both for the group, and any North Koreans dragged into their gyre. One such departure from the script was captured in a Dutch documentary, Friends of Kim, which follows a KFA trip to North Korea in 2004. During the tour, Cao de Benos breaks into the hotel room of an American journalist in the party, stealing his tapes and denouncing him to authorities. The terrified reporter, under threat of imprisonment, signed a confession and an apology for filming sensitive sites, and was allowed to flee the country. For his part, Cao de Benos says he has no qualms about taking action against the journalist during the trip featured in the documentary. He would have been blamed if the journalist’s report had eroded the dignity of North Korea. To the best of his knowledge, while his denouncements have led to North Koreans being demoted in rank, no one has been sent to a prison camp as a result. Besides, he says, those camps – in which international human rights groups say 200,000 political prisoners are held in inhumane conditions, starved or worked to death or publicly executed – are not the great evil they are made out to be. Another misunderstanding he is keen to clear up is that North Korea is a hereditary dictatorship. “There’s no one person that decides everything and can do whatever he wants,” he explained, two days before Kim Jong-il’s funeral. As to whether the dictator’s third son, Jong-un, would become “the next beloved leader of Korea, it is up to the people of Korea to recognise him as such”. The people of Korea must have liked what they saw as, four days later, Kim Jong-un was formally named supreme commander of North Korea’s military, making the untested political novice, believed to be 28, the world’s youngest head of state. 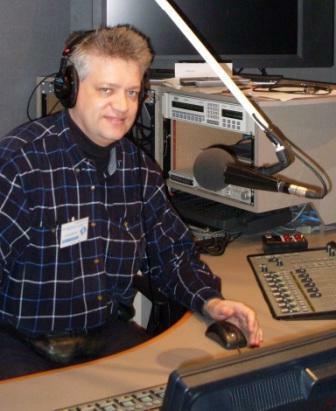 Dr Leonid Petrov, a Korea specialist at the Australian National University, has had contact with Cao de Benos for more than a decade, and doubts that he, or any other rational outsider, could genuinely believe North Korean state propaganda. He believes the KFA president is making the right noises ideologically so that he can straddle both worlds, carving out a profitable niche as a middle man and deriving status, access, and financial rewards through his consultancy work. The member of his tour party agrees – “You can’t possibly believe that stuff if you’ve been there” – and says while believing state propaganda is understandable for brainwashed North Koreans, it’s unconscionable in a Westerner who knows the outside world. Given his position, he need neither answer nor fear their criticisms from the West. And despite the recent upheaval, that position so far appears secure. Kim Jong-un is “a very military person” who is “exactly like” his father, he says, and who, most importantly, “represents the continuity of our ideology”. “He’s an important sign that although Dear Leader Kim Jong-il is passed away, there’s not going to be any changes,” says Cao de Benos, perhaps hopefully. Whatever North Koreans might make of that, it suits him down to the ground. One of the more momentous changes in Asia that heralded in the New Year was the sudden death of North Korean leader, Kim Jong-il, and the succession by his son, Kim Jong-un. Kim Jong-il’s death had long been seen by some outside observers as portent for the collapse of the North Korean regime and the announcement encouraged much comment that reflected these forebodings, including calls for calm from political leaders who should have been in the know. Certainly there were anxieties about whether the assumption of the North Korean leadership by a relatively untried and youthful Kim Jong-un would be accompanied by a power struggle in the North and political instability. Cooler heads saw little immediate sign of that. In this week’s lead Chung-in Moon and John Delury at Yonsei University urge focus on the realities that face North Korea itself and the rest of the world in dealing with the isolated state, not imagined contingencies surrounding the leadership change. Their injunction is timely. Moon was a key adviser to former South Korean President Kim Dae-jung on North Korean affairs and heavily involved in negotiations between the North and the South that saw the Sunshine policy put in place. But he is a hard-headed realist. Delury and Moon point out that there are no signs of political ferment in North Korea. For the moment, the system is quite stable. The regime is ‘unified around the new face of North Korea, Kim Jong-un, the son of Kim Jong-il and, most importantly, the grandson of founding father Kim Il-sung. Kim Jong-un does not need charisma. In North Korea’s hierarchic ‘big leader’ suryong system, the young Kim is born to authority. His Baekdu bloodline is sufficient to endow his rule with legitimacy. And his power base is solid’. This is an hereditary system of rule as much as an authoritarian one. Kim Jong-un’s legitimacy is secured by three inner circles. The first is the ruling family. The key sign of unity within the family is that Kim Jong-un’s aunt and her powerful husband Jang Song-taek both received promotions along with the heir-apparent at the historic Party conference last year. The second is the Korean Worker’s Party itself, which has been going through a period of resuscitation. The revitalised network of Party members — who now carry cell phones and are eager to travel abroad — see their prospects very much linked to the success of the grandson. The third is the military — the Korean People’s Army — which is the logical competitor in the power succession. But even in the army there is no sign of high-level disaffection like that seen in many Middle Eastern states. ‘The military’, Delury and Moon point out, ‘has been the primary beneficiary of the North’s ”military first politics” campaign initiated by Kim Jong-il in 1995′. The military has been co-opted through numerous incentives, and controlled through close confidants. The military has pledged loyalty to Kim Jong-un, whose highest title is Vice Chair of the Central Military Committee of the Korean Worker’s Party. As for the 20 million or so North Koreans not in the Party, they are likely to take a wait-and-see approach to the new leadership group. Kim Jong-un bears a striking physical resemblance to his grandfather, evoking nostalgia for North Korea’s halcyon days, and people may hope his rule will see a new, better chapter for their country. Whatever the case, those who may wish to rebel have no networks or organisations through which to do so. For now, all signs confirm the state media slogans: Kim Jong-un is the ‘outstanding leader of our party, army and people’ and ‘great successor’ to his father. In the near term, the chances of political crisis, let alone regime collapse, are remote. In the longer term, however, North Korea faces the same perennial hard choices: the dilemma, Delury and Moon call it, of mutually conflicting goals. Pyongyang proclaims to its citizens that 2012 marks the year of North Korea’s emergence as a ‘strong and prosperous great nation’ [Gangsong Daeguk]. ‘If Kim Jong-il could claim nothing else’, say Delury and Moon, ‘he did achieve at least one thing for North Korea — the ultimate ”strength” of nuclear deterrence’. What most outside observers of North Korean affairs miss is the importance of the goal of world standard prosperity. It was set out again post-succession in the New Year’s joint editorial in North Korea’s three main newspapers. There are unmistakable signs of a push to improve the national economy — from growing trade with and investment from China, revived plans for special economic zones and official propaganda promising to improve the people’s welfare. The issue at stake is whether Kim Jong-un can enhance North Korea’s prosperity without undermining the source of its strength — its nuclear weapons program. ‘Comprehensive economic development will also require foreign investment, trade, and financing; all of which would require negotiation of loosening, and eventual lifting, the sanctions which surround the North Korean economy like a barbed wire fence. Getting that sanctions regime lifted will require substantive nuclear concessions on Pyongyang’s part’. This, of course, opens opportunity for dealing between Pyongyang, Washington, Beijing and Seoul. As Delury and Moon observe, it will be in that moment, the transition from security-first to security-plus-prosperity, when the unity of the North Korean political system would come under strain. It was perhaps ever thus. ‘Elements in the military might oppose sacrificing their prize possession — nuclear weapons capability. Hardliners will argue it would be a fool’s errand to give up the ultimate weapon, leaving their country exposed to an Iraqi or Libyan fate’. The path to getting the North over that hump needs to start now, with building constructive relationships with their new leadership, and avoiding the risk of playing into the hands of hardliners, and above all investing in the capacities now that North Koreans will need to run a prosperous and open economy and society. There are signs that this is recognised in Washington and Seoul, though unfortunately not in Canberra which had earlier played a helpful role in prosecuting just this interest — and again is positioned, because of the importance of being unimportant, to do so now. *Peter Drysdale is the Editor of the East Asia Forum. Now that the funeral of Kim Jong Il is over, it is time for the international community to explore avenues of engaging with the DPRK, rather than trying to read the tea leaves about who is in charge or whether Kim Jong Un is the real Supreme Leader and Military Commander. This period presents a window of opportunity either to engage constructively or to destabilize the Korean peninsula. It is truly a time of danger and opportunity. While it is legitimate to expect the DPRK to take the first step, there is an equal onus on the international community to adopt policies and strategies to encourage the DPRK to initiate a new chapter in its foreign policy. However, this post funeral interregnum may be ironically the right time for the “strategic patience” policy of the Obama’s administration. First, it is important to bear in mind that following precedent is a basic rule of engagement on the part of the DPRK. It was a full three years before Kim Jong Il emerged to lead the country following Kim Il Sung’s unexpected death. There is no reason for the DPRK not to observe a similar period of prolonged national mourning. Of course, next year is the 100th anniversary of the birth of the eternal President, Kim Il Sung. The celebration is likely to proceed in April. Moreover, to use a term often employed by the DPRK to describe the success of Kim Il Sung and the DPRK heroes, the “exploits” of the Dear Leader will be extolled and given more prominence than if he were still alive. This is already evident from the DPRK’s annual New Year’s Editorial which has heaped high praise on the accomplishments of Kim Jong Il. 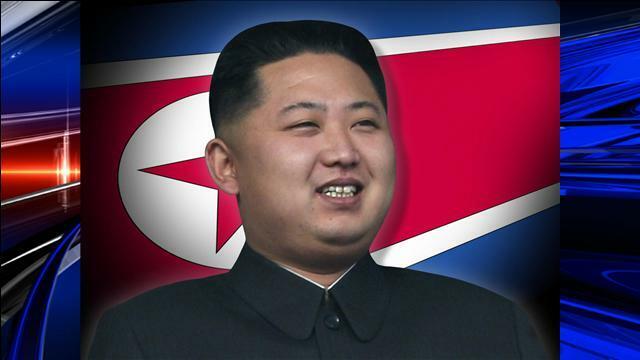 Second, the confirmation of Kim Jong Un as the “supreme leader and commander” is to be expected. Anything else would be a real surprise and would warrant speculation and analysis. For analysts keen to spot fissures in the leadership of the DPRK, perhaps the sole speculation that can be made is a possible vacuum in the decision-making process. Kim Jong Un is unlikely to take bold unilateral actions unless his position or his family is threatened. In fact, he may even welcome a prolonged period of national celebration of his father and grandfather. It is unrealistic to expect dramatic policy reversal or new initiatives for the foreseeable future. If anything, it will be business as usual unless the leadership is forced or provoked into taking action. – Avoid taking actions that will force the DPRK to make premature decisions. – Respond to the DPRK should the invitation be extended to resume existing negotiations. This past week, newspaper editorials noted the absence of commentary on the DPRK nuclear program in the New Year Joint Editorial and questioned the DPRK’s motivation. In fact, keeping silent on controversial issues is part of the DPRK’s diplomatic brinksmanship and has been the DPRK’s signature negotiation tool. Therefore, for example, “light industries” should be a “modern base” to produce “larger quality goods” that “cater to people’s tastes” and are “welcomed” by them. Equally significant is the highlighting of solving the food problem as a “burning issue” and the pathway to prosperity. – Continue the construction of large hydropower stations, thermal powered mining, metallurgy, and upgrade railroads, and chemical industries. The challenges that the Joint Editorial laid out for 2012 are formidable. But the contours of a roadmap to its economic prosperity are clearly laid out. To date, governments in North America and the European Union have refused to engage the DPRK in any form of assistance other than humanitarian aid. The technocrats within the DPRK will not be able to accomplish their mandate without technical upgrade, inputs and resources. Interestingly, NGOs such as Adventist Disaster Response Agency, American Friends Service Committee, Christian Friends of Korea, Eugene Bell Foundation, German Agro-Action, Global Resources Services, Mercy Corps, Samaritan’s Purse, Save the Children UK, and World Vision have had fruitful partnerships with the DPRK in projects that address organic farming, upgrading of clinics and hospitals, livestock, food aid, vegetable and fruit fertigation and renewable energy. These are helpful knowledge sharing activities seen by the DPRK to be particularly valuable. This post funeral interregnum in the DPRK should be seen as a window of opportunity for moving its relationships in a constructive direction. The international community should take time to network and to plan a coordinated engagement at multiple levels such as exchange visits, knowledge sharing activities, and other confidence building measures. A coordinated plan is necessary to avoid duplication, to maximize the increasingly scarce resources among traditional donors and to gather the lessons learned for follow-up. Donors should facilitate this networking by supporting civil society knowledge-sharing efforts. Civil society access is more sustainable and is less susceptible to the vicissitudes of inter-state relations, as the history of NGO involvement there has amply demonstrated. If NGO involvement has decreased in recent years it is in large measure due to decreased donor funding. It is also time for the international community to consider the implications of the existing UN sanctions which have not been effective and are perceived mainly as a political exercise by states with few options to punish the DPRK’s nuclear program. It should also ask itself whether the relationship with the DPRK should be dictated by, and solely confined to, the now highly contentious nuclear and human rights issues. Countries not involved in the 6-party negotiations, such as those in the EU, should encourage the broadening of the engagement agenda with the DPRK to include confidence building measures. 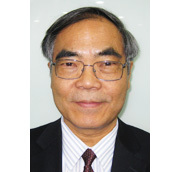 *Victor Hsu, a Visiting Professor at the Korea Development Institute School of Public Policy and Management.